The CIA has an imperfect history that makes it far from morally irreproachable. But according to British historian Christopher Andrew, the agency and other western intelligence services are more effective than any of their rivals. And Andrew has a theory about why. In the West, he said “[o]ne of the reasons that we’re bound to carry on being far better than the Russians, far better than the Chinese, far better than the North Koreans…is that it is very frequently possible to tell policymakers that they’re wrong,” Andrew, an emeritus professor of modern and contemporary history at Cambridge University, said in a talk at New York’s new Spyscape museum on Nov. 10. Days later, a leaked CIA report on the death last month of Saudi journalist and dissident Jamal Khashoggi last would prove his point. Specifically, the CIA assessed whether the de facto head of Saudi Arabia, crown prince Mohammed bin Salman, was involved in the gruesome murder at the Saudi consulate in Istanbul. Nevertheless, in its analysis, the CIA reportedly concluded with high confidence that the crown prince ordered the reporter’s death. Hundreds of years before Thatcher took office in 1979, this same sentiment was expressed by the head of security for queen Elizabeth I, the historian continued. Knowing he probably wasn’t risking his job, or his freedom, or his head, as he might have as an employee of another nation, must have aided that slumber. The ability to share truths without fear of retribution or shaming is the ultimate challenge and source of strength for any organization. If you work under a leader whose ego can take some bruising, it’s easy to forget the powerful connection between psychological safety and survival, let alone the link between psychological safety and progress or innovation. Strong corporate leaders also know that a company’s ability to avoid dangerous pitfalls depends on a basic understanding that sharing information, even when it will only create headaches, is encouraged. Companies like GM have learned this lesson the hardest possible way, after recognizing that its toxic culture of shaming employees led to defective cars and unnecessary deaths. Hopefully, Facebook’s leaders will heed a similar lesson soon. 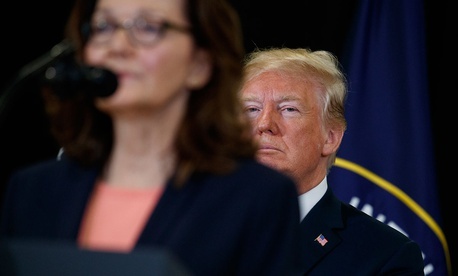 In the meantime, the unfolding drama around Trump’s refusal to criticize Saudi Arabia, or enact sanctions, is a good reminder that even the best leadership efforts—in this case, on the CIA’s part—do not always change outcomes. Next Post | What Is The Best Way To Prepare For a Valuable Employee’s Retirement?